Daniel Tucker (DT): So something that struck me, for instance, when I was preparing this is I was working out a timeline of things and I was like, “Oh, it is really interesting that Mess Hall started in 2003.” I feel like a lot of people met each other through that, even if they knew each other before – it was a place of intersections. And then I was struck to realize that Nick and Sarah’s exhibition, Urban/Rural/Wild, that was in 2005. That was also the same year AREA Chicago started and that Brian and Claire started doing the Continental Drift Seminars and a bunch of people from Chicago went up to 16 Beaver Group in New York City for those… And, just that there were these different intersectional moments that were happening around that time. So, I hope that we can sort of highlight those and others as well. To start, something that I would like people to bring up in whatever way you’d like to is to share what for you are important pre-histories to the work of Compass, practices that you were engaged with that directly fed into the inquiry of what you are working on now, especially those… Nick Smaligo used the term “family resemblances” to talk about practices that may not have even been aware of each other but sort of have some overlapping interests and ideas…. Claire Pentecost: It is really interesting, this question, because the only thing I can say is a prehistory is something on a really personal level, which is this idea of understanding the world around you as being a prerequisite to any kind of ethical behavior. And when you say was there a prehistory of the group… We didn’t start by trying to be a group. We didn’t start by thinking, “We have to do X, we have to organize ourselves in a certain way and we will either be responding to models or looking for models, etcetera.” The only thing I can think of was, “Okay, we’ve been doing these kind of seminars on globalization,” and then, to put it really crudely, “and then we are living in the Midwest… We are studying all these things [elsewhere] and we don’t even understand where we live…” And we had heard of a group of artists from Europe who made a traveling seminar in the trans-Siberian railway. So, that’s the only thing I can think of as a previous model as a traveling, a mobile seminar. But I think what I really want to say is that we didn’t start out thinking we would have some kind of future… We weren’t thinking about that. We just wanted to come together and do some exploring, some kind of self education autonomously and collectively. Dan S. Wang: And a little personal prehistory that to me is very important within the collection of people that are here now is represented by Amy and Matthias. 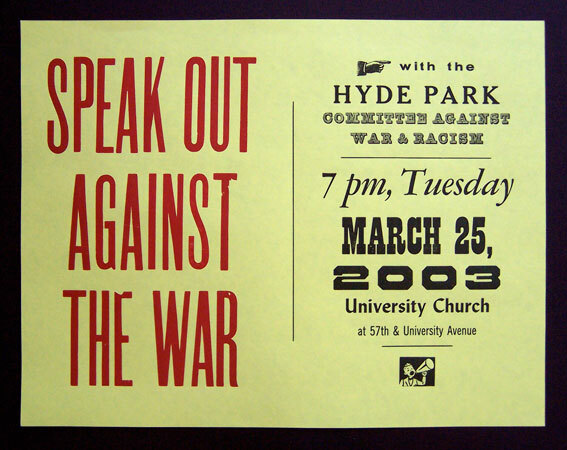 I knew them from early 2003… because we were all living in the same compact neighborhood of Hyde Park in Chicago, and found ourselves getting acquainted through the Hyde Park Committee Against War and Racism, which was just a neighborhood anti-war group, one of many at that time around the city. And I’m talking about this because it sounded like you were interested in revealing a little bit of what the relationships between people in this group actually are. And I want to mention this one because it did predate Compass. Nowadays I sometimes have to remind myself that I knew you (Amy and Matthias) from that earlier time, but when I do think about it, it says to me something about this configuration of people and practices that overflows my training and professional status, which is in the area of art. Personally, it is gratifying, because it affirms something of my own history from that time, to just think that, those were interesting and creative things to be doing, and not worrying about a career. Our creative activity then was about trying to do something to stop the imminent invasion of Iraq, beginning with simply coming together. Prioritizing the shared political goal became a way that I met some great people, and they aren’t the only ones from that time that I am still in touch with and work with in some capacity. These kinds of layered interpersonal histories lace through this group. Sarah Ross: I think, for me, at the time of 2003 and 2005, I was not living in Illinois, so it makes me think, “What was I doing at that time or what about that time brought me to this place and this group of people?” I was interested in architecture and space and power, or, how architecture replicated forms of power and how power can be administered spatially. And so when I moved to Illinois and started teaching in a prison and felt really ambivalent about it, I started reaching out to people and met people like Marc Fischer and Brett Bloom, I didn’t know any of those people at that time, so that was really 2005 for me. But also at that same time, Nick Brown was doing a Critical Spatial Practice blog. Sharon Irish, Nick Brown, Sarah Kanouse and Ryan had started this Critical Spatial Practices discussion group that I was really interested in but I didn’t know anything about [the people in Compass] and so I was sort of pining to know more about what these folks do. 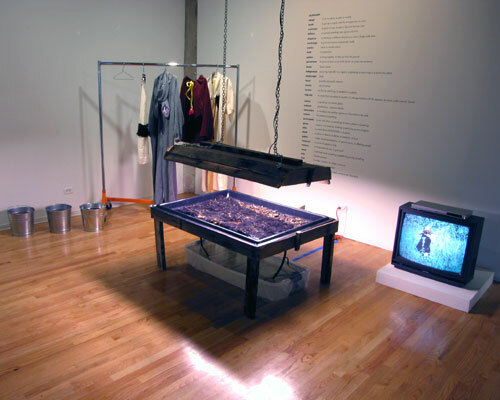 Nance Klehm, “Collection Suit/Dispersal Suits,” 2005 in “Urban, Rural, Wild,” September 9 – October 22, 2005, I space Gallery, Chicago. Sarah Kanouse and Nicholas Brown, curators. Nick Brown: I would just add that in addition to the Urban/Rural/Wild show that Sarah Kanouse and I curated at I-Space, which explored the relationship between Chicago and downstate Illinois, sort of grew out of our time spent living in central Illinois and recognizing the very deep connections of that part of the state to Chicago and its dependency on Chicago. 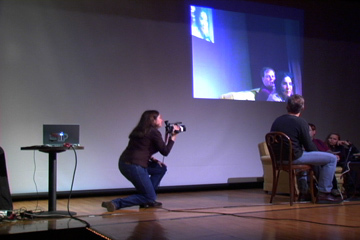 That show came out of that experience but also at the same time in 2005, with Kevin Hamilton, I organized this semester long – we called it a protracted symposium – Walking as knowing as making: a peripatetic investigation of place. 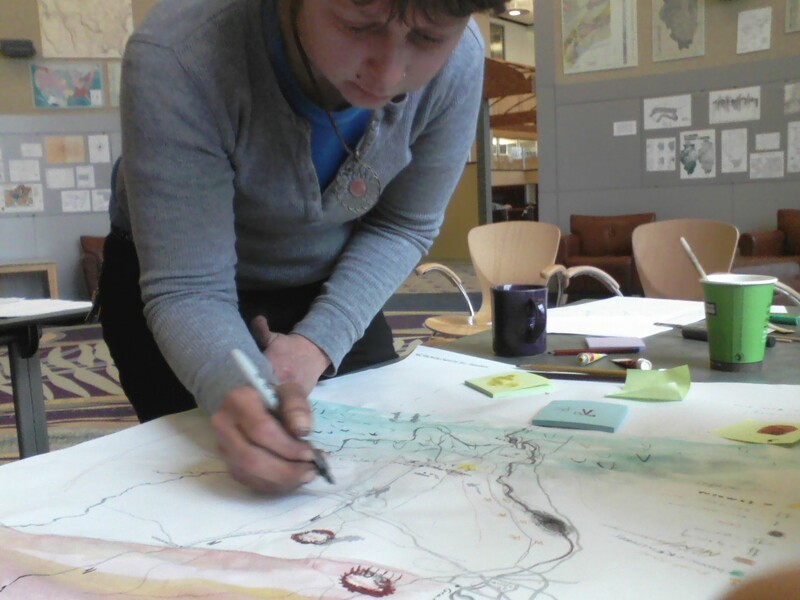 And we were very interested in experimenting with different ways of knowing and processes of engaging a place. And that was a significant experience for me, personally. And I see that sort of experimentation with a methodology, ways of engaging place, sort of being fundamental to what the Compass Group has done. Brian Holmes: I like that last thought a lot, the ways of engaging with a place. That always impassioned me. I came from outside the Midwest, and in my case I didn’t have any idea of what Chicago was about. Then I was invited to a conference called “Free Cooperation” held at SUNY Buffalo in 2004. I met many of the people who I know now, and who are even in this room, at that conference, which was organized by Trebor Scholz and Geert Lovink. It was a confluence of things I had participated in earlier with hundreds and maybe thousands of other people, the kind of culture that developed through the anti-globalization movement. And it showed me the other side of that culture in America, which I didn’t know because I was living in France in the 90s and early 2000s. So, that’s interesting because I met so many people in that conference who became good friends even up to now. And then there were some other things…We did a map of Europe with Bureau d’etudes that was about the creation of a continental form of social organization, therefore about power and technology and all that stuff. It was called “European Norms of World Construction.” To do that I engaged quite a study of the EU, which interested me very much. You could see it around you, we were actually living through the process of the so-called “European construction,” and that was amazing because they were trying to put into place this thing which is now falling apart, called the European Union. Reflecting on that, it seemed clear that this same sort of construction had already been done in the United States. Notably there was the idea of Megalopolis, which is a book about the Eastern seaboard and the way it’s interlinked by freeways to form a single productive territory. Then you get into layers of things about capitalism, because society continues to develop that kind of built complexity. I was interested to see how the neoliberal phase of capitalism was spreading big infrastructure across the earth and transforming the ways people live. 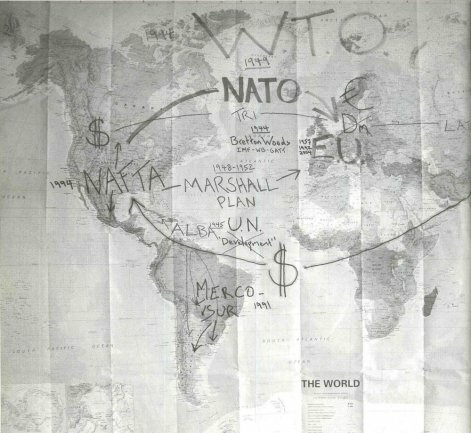 The strongest influence, for me, was probably in 2003 at a meeting of the People’s Global Action movement in Holland, when a guy drew on a blackboard a map of the proposed Plan Puebla-Panama highway corridor system that was supposed to run through southern Mexico. I saw that and it struck me with force that we were living through this kind of corridor development, although we barely knew it. And that really inspired me to find out more. 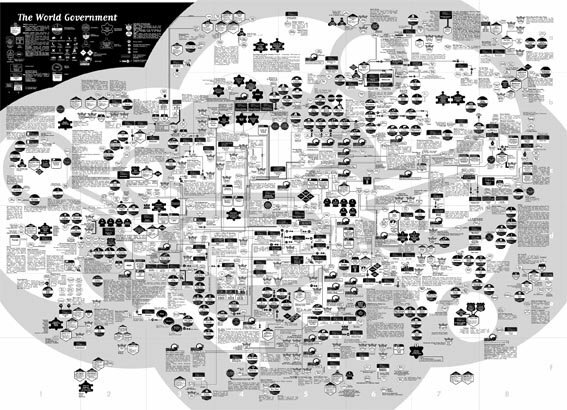 Also schizo-analysis inspired me, the whole heritage of Guattari. It came out of working with social movements and trying to figure out what art and social movements do together, in Spain and France and England and Italy, with quite a large network of people. I think all those things definitely came together in a way that was really effective…The 16 Beaver Group from New York City were also at that conference in Buffalo and so together with Claire we started the Continental Drift seminar, which later developed into the Continental Drift through the Midwest Radical Cultural Corridor. It is interesting to think about it all because there are so many things that run through that background. They were processes of experimentation taking place across the face of the earth, like the group in Argentina which is now called Iconoclasistas and used to be called the Grupo de Arte Callejero, who make maps where they collaborate with social movements. A group comes together and in the course of two days, they produce a visual understanding of the territory they are dealing with. So in terms of this kind of process that we are engaged in and experimenting with, I’d just like to say we are not alone doing this. Rozalinda Borcila: So I don’t have a very coherent story but maybe there are some fragments that I can bring together. I grew up in Romania in a town in the foothills not far from the Carpathian mountains, and just outside of my home city is an area in which some emerging struggles around land use and notions around health and healing seem to be the first attempts to formalize critical questions about the reality we were encountering post 1989. That work has come a really long way and I was just dimly aware of it, but for me it was one of the first moments of really pausing to ask political questions in what was otherwise a kind of numbing, completely disorienting time. And there is a peculiarity to the underground hydrology of this place that became important for people to understand as a starting point. So ten years later when I was working and teaching in Florida, it turns out that the only other place on the planet that had a similar hydrology to that part of Romania was Florida. So there was this kind of copy reality that had to do, not as much with the limestone and the sand, but had to do with the connectivity that existed with water, the water table, and spring systems. And so I started to teach a class… for about six years I taught classes on walking just as a way to create a culture of politicizing students in the sculpture program around something that seemed sufficiently material and place-based yet didn’t have to be material in a sense of a shock production in a shock environment. 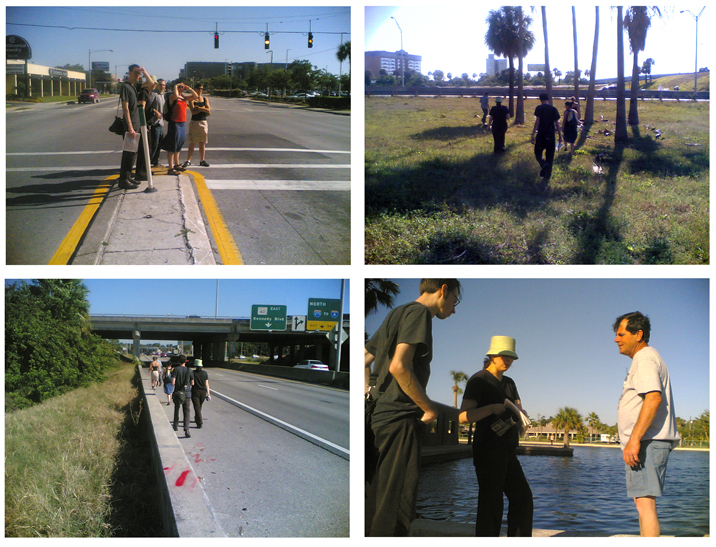 And so we were working with the springs, the ancient springs that were now toxic in and around Tampa, and with traveling on foot at the surface level while at the same time trying to sense the interconnected pathways far underground that we couldn’t trace, and then connecting that to this other hydrological space on the other side of the planet. And we never got very far with the sort of political-economic analysis of it but there was definitely an attempt to work on various scales and also a feeling of this research partially grounded in physical reality and partly sort of hallucinatory, because you couldn’t quite see or sensorially access this other level beneath your feet, and yet it informed everything we did. So, as part of putting these classes together I got to know Nick Brown and Sarah Kanouse’s work through the interwebs and Ryan Griffis’ work as well, and then a few years later I met Ryan during the College Art Association conference in Boston, at a bar on a really late at night… and we walked for a really long time and couldn’t find the hotel! And it was like a walking seminar… You know, just realizing who you are, and talking about, “I’ve been looking at your work for years!” And so we began walking together. For me, a lot of my first entrance points to the various constellations that now form Compass, really came from trying to connect with pre and post 1989, “What does the Cold War mean and in what forms does it continue? And how does one grapple with that on both sides of that divide?” And then also with question of, “What does someone do with teaching art?” You know, like where and how does that become a space for making sense of something critically. And walking became as good of an immediate method as any. And then there was also this moment of, this Free Cooperation conference in SUNY Buffalo where there was another combination of interwebs meets flesh, right? I met with Sarah Lewison and we fell in love online while preparing for that conference and by the time we met we were very smoochy. And that developed into a long standing collaboration [through the group] BLW, which in many ways has settled a structure even beyond BLW for me in terms of more direct political organizing and embodying practices beyond art and teaching as well. Sarah Lewison: Basically what preceded [working with Rozalinda in] BLW, from 2003 all the way up until 2008, is that I had no permanent home and I had kind of given up on that. I didn’t know how to do it and I didn’t have the skills and I definitely didn’t have the skills to function in the economic system. I felt daunted by what it took to just make money, what it took to compete in a market, and I had had a lot of negative experiences earlier with that, just trying to get a house for me and my two kids. I was troubled with the same problem regarding being an artist because I didn’t have a studio space. I lived in San Francisco for much of time where housing was expensive and tight. Lacking a physical space, I started figuring out ways to have an art practice that was about using whatever was at hand, which might mean whatever is in the street or taking improvisational kind of approaches. Some friends and I did have a gallery for a while though which we called the Armpit Gallery (from ‘89-’92) and our practice engaged a lot with the neighborhood and the streets. We had an annual festival that we called the Lard Fest with a parade that would move into the streets and into a local park where we would ceremoniously burn a gigantic pig head made of papier mache. We would stage these insane public demonstrations, such as when Peewee Herman got arrested. ANON: What did the pig’s head symbolize? Sarah Lewison: It was a parody of a sacrifice. Every year the pig’s head stood for a new theme. Capital, the idea of home. We were very much into creating disruptive images that were recognizable. 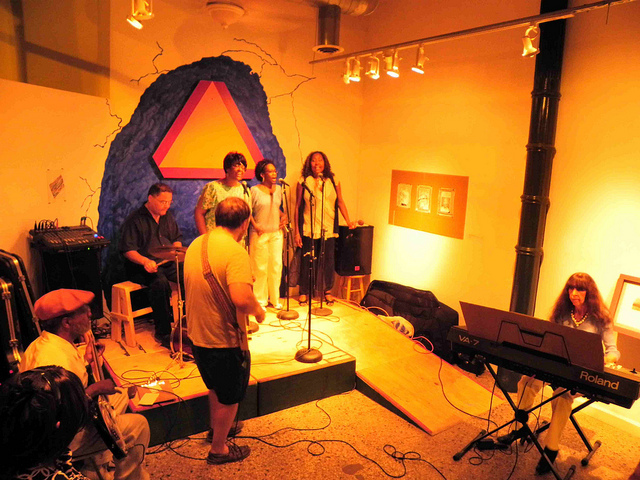 Like Mess Hall, we had no ambition to become a non-profit but were more interested in producing a community space for challenging art. The Japanese band Merzbow played at the Armpit. The Cheap Art Store (on the West Coast) was only a few blocks away and we had a relationship with them. We would do events and festivals that would go back and forth between our two spaces. After I got out of graduate school, I effectively became homeless. In California, approaching the millenium, the houses I lived in kept being sold, one right after the other in the booming housing market. Various friends and family invited me to stay with them for some years I lived this way, through the generosity of others, sometimes working and sometimes not. I went to the Social Form in Paris where I picked up one of the Bureau d’etudes map [that Brian was working on]. That was an awesome moment and connection. A couple years later I got to teach a class on experimental cartography at San Francisco State and began an essay for Lex and Lize Mogel’s book, An Atlas of Radical Cartographies. Because there were so many connections between those of us thinking about that those issues, I became familiar with both some of the people here, and with your work. I just want to say that I was also influenced by the bioregionalism movement of the seventies and that I see Compass and the MRCC as a way to both deepen and complicate it if that is possible. 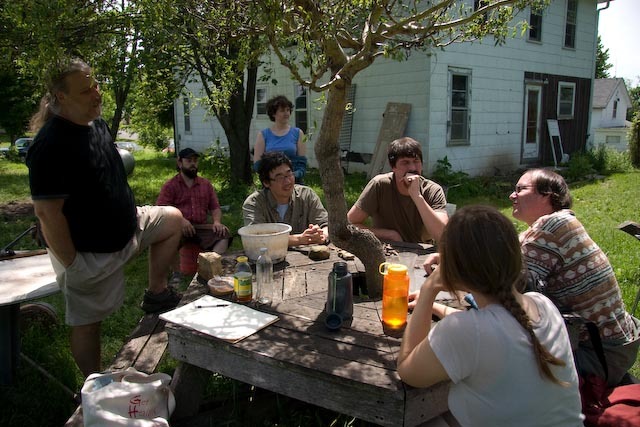 When I moved to Chicago to teach at the University of Chicago – I met some of you at Urban Rural Wild, but things developed more significantly when I moved to Carbondale in 2007. Sarah Kanouse and Nick Brown were in Carbondale and Sarah Ross, Ryan Griffis, Brett Bloom and Bonnie Fortune were in Urbana-Champaign. I like to believe the story of the beginning of Compass is a little different depending on where you lived. And BLW has been really important. I have learned a lot through working together with Rozalinda Borcila and Julie Wyman and through the intensity our commitment to doing risky things, and to exploring embodied forms of learning. Like there’s this other side of gaining knowledge which involves engaging with uncertainty. I think that was a really important formative experience which still in process. MATTHIAS REGAN: One thing that I remembered just in terms of Chicago pre-histories was the conference, the Patho-Geographies Conference, organized by Feel Tank Chicago, which I know a lot of people in here were involved in various ways. So I think that’s an important thing to mention. And I guess also just to mention Mess Hall for the fact that a number of us were “key holders” there or had been at various times [involved in coordinating that space]. And I think it was always a forum to present things at for people there. SARAH KANOUSE: I was just going to add one piece of information about the Urban/Rural/Wild show, which is that Nick and I had met Bonnie and Mike, Bonnie Fortune and Mike Wolf, who were in a relationship at that time and they did a project for that show that involved walking from Chicago to Urbana that was partly based on a powerful story about a group of white African and native American escapees who had formed an nomadic community that was sort of headquartered between Indianapolis, Chicago, and Mahomet, Illinois, which is a suburb of Champaign-Urbana, who had an annual migration and moved between these three points. So I think for me that was a very early notion that there were these already existing or past existing stories about networks in these places or pathways between these places…. One of the first things I learned when I moved to Champaign in the late nineties was that it was one of the more heavily African American cities in Central Illinois because a number of people had settled there…It was this great migration along the railroads. But there were these moments of migration that had deposited people in certain places, and they figured out how to create alternative geographies and alternative sets of relationships in these spaces that were not necessarily of their choosing, which I think to some degree kind of describes what we all find ourselves in. Mike and Bonnie went on to be involved with Compass and aren’t here in the room, [but] they had an early [involvement]. AMY PARTRIDGE: Just hearing everyone talk, I think it is really quite astounding to think about those points of contact that pull you in, just sort of unwittingly into a much larger set of networks and how that process happens and why and when it happens. So I think that the sort of dates people are mentioning, 2003 to 2005, there was a sense of urgency, I think, that really, and a sense of reaction to a particular, to a sense of that there was a real danger. And anyway, I think there was a real sense of urgency that led us all to meet each other as a reaction. Anyway, that’s certainly true for me and as Dan mentioned, we met in this anti-war committee which proved to be incredibly fruitful and I think one of the things that was interesting about it was not just the timing but this was happening all over Chicago, there was neighborhood groups everywhere and it really was about, “How do we respond on a local level feeling so disenfranchised at every other level?” And it really did bring people together. It was a very different way of knowing people in Hyde Park, a college town that you know people through the university or whatever, and this was an entirely different intergenerational community that was really strongly felt. Anyway, and through that suddenly you know about Experimental Station and you find yourself at Mess Hall at it becomes this whole network that you are drawn into, or I felt like I was drawn into, which is an argument for these important contact points that are really locally grounded and based. And the only other organization I think is important to mention is Tamms Year Ten, since I feel like I knew Sarah Ross and Ryan through Tamms Year Ten organizing, even though you lived in Urbana, I knew about you in emails… I just felt like I knew you through that campaign before I even knew you. But the final thing I was going to say is that I moved to Chicago because I met two people who were performance artists in Chicago in the eighties, both from SAIC, that had such good stories to tell about it that when I had to choose grad schools between Northwestern and NYU I decided on Northwestern because Chicago sounded so great. And all the places they mentioned are places I hear about from you all just all the time. There is a kind of prehistory to these Chicago spaces so I feel like Randolph street, NAME Gallery, Axe Street Arena, those are places I heard about when I was living in Portland Oregon, just graduated college, and it was like this mythic Chicagoland. And I feel like Chicago has really delivered on that even though those places don’t still exist, right. RYAN GRIFFIS: I don’t even know where to start in terms of different connections, but I guess one thing that a lot of people have touched on is the importance of people that are on the periphery of the group for the existence of the group… It is really hard to overestimate the significant people who are not part of this group but are intimately connected with the majority of people in here, in various configurations. Right when I was finishing grad school in North Carolina, I read that piece that Nato Thompson wrote about the fire that burned down (the first) Experimental Station, and also was finding all the things that connected that and DSLR and all of that stuff. And even though that was still sort of in the back of my mind, I had made no connections (with anyone involved). I think I had, at that time, made connections with Steve Kurtz, which would eventually lead me to Claire in various ways. In 2004, I met Daniel Tucker because he was organizing part of the Version Fest in 2004 with Jon Cates, and I did a tour of the Chicago Technology Park. 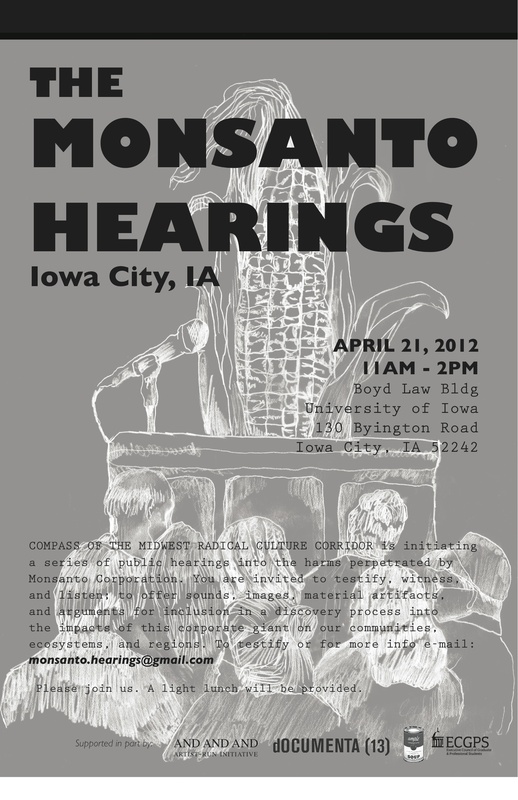 At the same time, I was also organizing a series of exhibitions around genetic technologies. where Critical Art Ensemble led me to Claire and to Faith Wilding. And around the same time I was also involved in my sort of personal practice that was very isolated because of my living situation, at least in terms of knowing anybody here… But like I knew of Brian Holmes from various listservs and reading his work through that as well as Dan Wang… my first connections with Dan were through reading stuff that he was posting on things like Nettime. Without even knowing some of the connections…like having [heard of] Nick Brown, because of the Walking in Place thing, but also a symposium that happened that Emily Scott (of the LA Urban Rangers) was co-organizing at UCLA and making that connection through people that were connected to Sarah Ross through UC Irvine, like this guy Claude Willey. I think the first time I met Sarah Lewison was during a tour that Laurie Palmer was leading of a former mine site for the Urban/Rural/Wild show, and we had a crazy long conversation in that pit I remember, and I was like, “I have no idea who this person is but she is awesome.” And as Rozalinda explained, we had a very sort of chance encounter in Boston in a bar and then ended up talking while walking through Boston. Yeah, so there are just a lot of interesting tangents that led me to make some of these connections that were pretty fruitful. I guess my point is just that people on the periphery…And now that Daniel is one of those people here now [interviewing us] is just a reminder of people like that, and people like Laurie Palmer and all these other people that are here in many ways. DT: Something that really struck me in the conversation this weekend was that when people were talking about the way the first drift came about, the Continental Drift through the the Midwest Radical Cultural Corridor, was that part of what motivated it was that there was a common opening in people’s lives that made you open to such an activity. But also wanting to politicize that opening that you were experiencing, that people were at some transitional moment or some kind of moment that made them desire that kind of activity. So, ideally in the course of you talking about what happened on the drift, someone can start us off by talking about the conversation that led for you in your own life to actually participating in it. What was that instigation moment? SARAH ROSS: What I can remember, is that Sarah Lewison, Sarah Kanouse and Nick were in Carbondale, and Ryan, Brett and Bonnie and I were in Champaign-Urbana. And Brett said, “Hey, I’ve been having this conversation with the Continental Drift [seminar series from] 16 Beaver Group project in New York about bringing it to the Midwest”. And one of things that was very particular that other people have already talked about is that many of us had moved to these small towns….I grew up in a small town but hadn’t lived in a place like this and I never even thought of the Midwest in my life– ever– honestly. So when we showed up in this place it felt like it was really important to figure out where we were. We’d been living in Urbana, IL for year or two by that time, but not really understanding it and so the Drift idea felt really provocative. I had not been to the NY Continental Drifts, so I understood the seminars to be in the space of New York which was defined by real estate. So, for me, taking those ideas and applying them in this strange [midwestern] territory felt wildly provocative. It was immediately kind of exciting and, as I said before, I applied it in a really direct way to my experience here: “What does neoliberalism look like here? And how are these [central Illinois agricultural] fields part of a neoliberal regime? How does resistance against neoliberalism look different here than it does on 16th Beaver Street in New York?” And so on. But… I guess I started out by saying that that the main conversations were happening between Brian and Brett. Is that right? BRIAN HOLMES: Actually, Claire and I already heard of the idea of the Midwest Radical Cultural Corridor because Mike Wolf had been doing things about it, including a whole show at Roots and Culture shortly before… So this word was in the air and I have no idea when I heard it, but sometime shortly before or after the event at Roots and Culture. It’s hilarious thinking about it, because when you have to work you drink coffee. So, I was going to do some kind of guest critique or something at the SAIC and so was Brett and so we drank some coffee and we just started talking and talking…And I’m sure Brett already had some ideas, he was more intensely concerned with the Midwest Radical Cultural Corridor, but we were talking about it and we both said at the same time, “We’ve got to do the Continental Drift through the Midwest Radical Cultural Corridor.” It was one of those things where you know that the invention has happened between the two of you in the same breath. It was really intense to arrive in Champaign-Urbana [for the first drift events] and do those fantastic things like going from Kevin Hamilton talking about cybernetics in the local Post Office that has been taken over by Indymedia and then moving from there into meeting that South African guy, what’s his name? Ken Salo. It was really interesting how that unfolded. Exactly that is the kind of thing you can unleash, in fact. That experience sort of showed us how you can unleash these kind of processes that become so searching and intricate, and at the same time light and hilarious and enigmatic and confrontational and more things yet. It’s interesting how you can unleash that sort of thing by getting in tune about something. So you have a shared desire that is circulating around people. We had all decided… And how we all decided I mean this part of it is … I don’t want to say mystical and I don’t want to say magical but as all of us are always too busy and the thought that we could clear ten days at the same time together was… And some people came and went during those ten days, they couldn’t actually clear that but… but they came and they went. And it was like a strange kind of attractor that had appeared in our midst… That we would all be that attracted to this idea of going around in our region. I think part of what was appealing was the kind of perversity of it because I too, as many have said in this circle, the Midwest never figured in my imagination until I came here for a job and the Midwest is this kind of opaque, it is almost like a blank spot on the map if you live on the coast. So coming from the East Coast… And then the thought that I’m actually going to with other people, there is this whole group of us that want to percolate in that opacity, to sort of produce some sort of lucidity was really compelling… and putting it on a basis that’s not very rational but I remember there was a whole dimension that was kind of irrational. And actually Daniel Tucker, I remember having a conversation with you on my back porch and you were like, “Wait, you can’t tell me what this thing is…. Like, what is it going to be? What is it, this Continental Drift? How can I say I’ll be involved in it if you can’t tell me what it is?” And I sort of felt like, “Well, that’s the way it is at this point. We don’t really know…” and we did put words to it and I think if we looked back on them they are quite precise actually but the drift itself….I guess I want to convey that it had this spark of something that is hard to account for that people wanted to come together, they wanted to put the time together, and maybe that spark was the isolation of people in this disparate parts of the Midwest and that feeling that we wanted some kind of connectivity. So maybe it comes down to the desire for connectivity. DAN: I remember having a lot of conversations in 2006 and 2007 with Mike Wolf. We both were leaving Chicago, we both had this imminent departure from Chicago, relocating for different reasons but a funny parallel situation of life transition that had to do with leaving the city. It was around then, maybe the fall of 2007, that I came to Urbana for a visiting critique gig and had dinner with Ryan and Brett. We ended up talking about some sort of project that had to do with figuring out this place or idea that some of us were already by then starting to call the Midwest Radical Cultural Corridor. 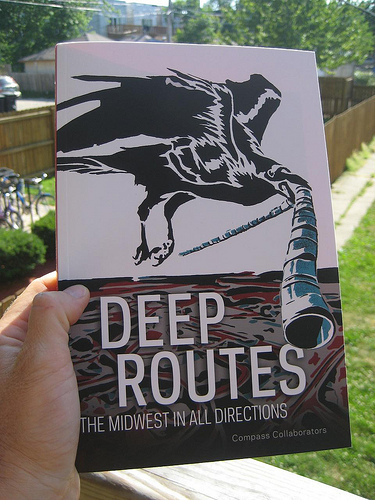 I remember the first Drift well because I had been talking about it a lot, discussing it with Mike, and thinking about what it meant for me to leave the global city that I had lived in for about eleven years and return to the Midwest by moving two hours outside of Chicago. The Midwest that I came from. I’m not an outsider to the Midwest. I grew up in Michigan. That was part of what we talked about because he is from St. Paul, and at that time his idea was to leave Chicago and reinvest his life somehow in the place that he grown up, which he started to think of as the Midwest. So for me the question of place as it relates to whatever we mean by the Middle West has always had to do with problems and questions having to do with belonging and homes, not in a static sense, but under the auspices of a brutal and constantly self-reforming neoliberalism. When the 2008 Drift took shape, I already felt like I was pretty invested in the thing. I wanted to contribute to it and help with the organizing and really make it happen, and help to bottom-line what I could. Then, when it actually happened, I was just amazed that Brian and Claire totally cleared their calendars, and made sure that they were there at every single event for the whole ten days. Ryan, you were too, and maybe Mike. But this is what amazed me about Nick and Sarah was…what, like two weeks after your wedding? A week? It was a great wedding and then leaving the wedding it was like, “See you next week.” I was kind of stunned to think that here are these people…Some of these people I’ve known for awhile but not really well, and now I see that they have an investment equal or greater than mine in questions similar to mine, even though many of them weren’t as literally “from” the region as Mike or I. And that folks shared in the experimental approach, which is really what it was at the time, an experiment. It wasn’t a group, it wasn’t anything beyond that experience… But upon ending, I could see that it was the first of many drifts. Now I think of Compass as made up of great traveling companions. But the thing that was especially interesting was the way that it was organized. People in these places that had a long-term relationship to them—whether they had been in the place for a long time or not—they had a long-term relationship either going backwards or going forwards in some way, they organized specific things in those places and through their connections. So, when we had organized things in Champaign-Urbana, we knew that, for example, stuff was being organized in Chicago and knew that Dan was taking a similar route in Wisconsin. We knew all of these things but we didn’t know exactly what that was going to be… because we were working on just this kind of one part of it. So I think that was a really interesting way of being super involved in organizing a thing but still having [parts] to look forward to that you weren’t organizing. So it did have that. Maybe this is sort of the mystical thing that Claire was talking about… It did have an element of surprise even if you were key to organizing it. Every kind of organizing event has an element of surprise but it was different in that way in that it was sort of.. It was kind of like giving a slideshow or a talk about research only unfolded over this longer period of time and it was mobile. So I think that was key… Yeah, like a spatial sense of support. BRIAN HOLMES: I would like to add a couple of things…To be able to combine something like corridor planning [discussed in relationship to the “megalopolis” idea I mentioned before] with a kind of a multiple name or open myth project like the MRCC that can be appropriated by anyone who wants, seemed like the meeting of the most opposites you can imagine. Because on the one hand, you have this vast question that we are all still trying to come to grips with, which is how does a planetary economic system not only make everybody work, but even fashion the environment and all the way to the values and maybe even the war machine and who knows what else? Just-in-time-production and all that. And then on the other hand you’ve got the idea of a kind of social self-production that transforms things all the way down to the very beginning of who you can even name yourself to be… That’s the mythopoetic side. It’s sharable and so sharable that your identity is also sharable and transformable. I think the intersection of those two things is what interests me in the project. That’s what I wanted to feel… How we could make that kind of connection in the wake of NAFTA, in the wake of that anti-globalization movement? Again, I think we have this kind of planetary effort to understand how to react to the process of terraforming or re-sculpting of the earth, the mad Frankensteinian idea of neoliberalism. There’s a lot of potential in there, unexplored potential, in the effort to understand that… The thing that really showed me where it’s headed is the film “From the Bottomlands to the World” by Sarah and Ryan, where you go down the Mississippi river with the grain that comes out of the ground and you get to the end of Mississippi and there’s this really intense offshore grain processing transshipment facility that leads to many places, most of them in Asia. I’ve shown it to people in different continents and it’s part of trying to share this kind of seafaring knowledge of production on the face of the earth. I think all that was definitely launched in the Continental Drift, with all the sort of whimsicality and also resistance and even resistance to locality that we found wherever we went, and that made the essence of the experience. So I just wanted to add that. SARAH ROSS: I just feel like that what we were doing from the beginning and a lot of our earlier conversations were really about the political formation. That this act of moving through this space was really political. Like we were trying to figure out how our lives are being constructed by the industry and cultural activity around us and how we could not only see and analyse it but try to affect it. So it was just a really formative time of thinking about how these simple things around you are part of highly globalized production that otherwise get looked over. The drift was both a form of travel, togetherness, breaking isolation, and this concretely political work of trying to figure how to locate ourselves within a territory and act in our interest and in the interests of others in the planet. DT: So picking up on what Sarah was just saying… Something that comes through really strongly is that the Drift and that a lot of the initial conversations were about embodiment, but I think it is not coincidental that a lot of people that are involved in this process work as artists and that there is, in addition to the embodiment and the experiments with embodiment, Compass has also engaged in experiments with representations and that those range from books to maps and other forms. I guess I just would like folks to comment on those. I’m thinking of the Call to Farms book but also the Coal Map and I think also some other splinter projects. MATTHIAS REGAN: One thing I wanted to say about representations is…in my mind, especially for the MRCC part of the group, was also meant to think of the group as a kind of political tactic in itself. So the group itself was a representation. Its goal was not to exist in organizational framework, exactly, but as an entity that could ebb and flow, and try to leave the rumor of this Midwest Radical Cultural Corridor…That the group itself would exist as a rumor and therefore be highly mobile, not just mobile in the sense that people could walk around, but mobile in the sense that the group would not have a fixed membership, wouldn’t have a single fixed organizational structure, it would instead be a much more fluid entity, something that could really literally take on the burden of representation in which what was being represented was a leftist counter culture in the Midwest. And whatever that might mean, it was meant to be a very organic entity. So I think that is one form of representation from which the production of specific materials then becomes a kind of secondary system I think. SARAH ROSS: I wonder if some of the things we made along the way, whether it was the books or the maps or the flags that Matthias made for the event in Detroit and so on were just a way to materialize what we were thinking. They were part of our conversations and it didn’t feel like they were representations in the sense. The map we knew it had a destination [of the Heartland exhibition at the Smart Museum and being printed in AREA Chicago #9]… but I feel like a lot of the things we produced came out of our lived experiences together. It just felt like it was a way to deposit information and spread it and that could continue in a myth. I felt this way… I wonder. I’m asking a question if other people felt that way? UNKNOWN: What would that myth be? SARAH ROSS: The myth of the radical Midwest… I feel like it was a rumor. 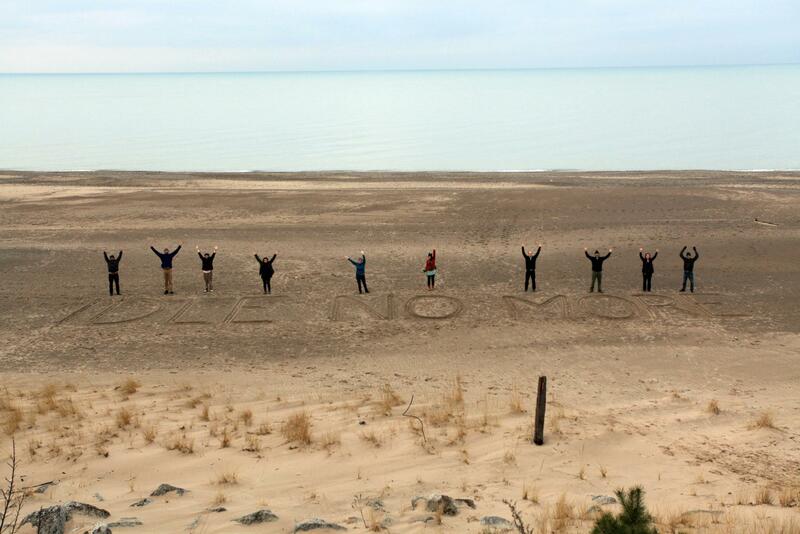 So we were spreading the rumor…. UNKNOWN: That there is some radicality in the Midwest? MATTHIAS REGAN: I helped to launch that so I feel responsible for it. I think the idea would be that, yes, there is a rumor of it and that the implications are that it is not happening somehow and that a rumor needs to be spread and I think that is true because I think that’s how things come to happen is that it emerges as a rumor first and then people come about to do the things that were rumored to have happened. And so that’s the theory I think… I think there’s a way in which we can all testify everything that everybody has said here so far this evening has testified exactly to that fact, that each of us sort of heard about something that somewhere kind of cemented us to some set of people, some conversation that happened where there was a kind of spirit of further desire got launched there and that people repeatedly it didn’t start with a sense of organization. So I think that in a way it really has successfully begun as a coalescing of a rumor. And I think that that means it has a very definite and completely uncertain destiny, which is the destiny of a rumor. It passes somewhere or not. SARAH LEWISON: I think that it is interesting just to think about this idea of rumor as sort of preceding it or drawing out… I think it is fanciful…but I think that there’s another way to think about it which is like…I think somebody expressed it in another way, more like a kind of magnetism, by putting energy into this idea then other sites where that same energy already is existing start to get more visible on the horizon. And so maybe like rumor…The thing with rumor is that a rumor sets up a kind of yearning and I think that, to me, there was a sense of yearning at the beginning. CLAIRE PENTECOST: First I wanted to respond to the rumor thing. I think that it is very interesting and appealing and it kind of has a premise that a rumor is somehow more powerful than a certitude and I would just like to say…because we are very diverse… And I think that I’m really interested in the reality of a Midwest radical culture and, for me, all along that has been a motivation is to sort of make it visible. It is about making this reality visible, in such a way that people could actually believe in this….That there is radical culture where we live and in fact it is pretty robust and it is reproducing itself, etcetera. As far as representations go, this is something that, and all of our views are actually individual in the end, the representation I think is problematic because [what we are discussing] is the kind of thing that, for me, it is experience and inquiry first and the representation is always going to fall short. In some ways I think you have to think of the representations as an ongoing kind of structure of accumulation. That we make this representation, [then] we make another… We make a different one… And maybe this is the truth of all representation is that it is this kind of accumulation of fragmentary perspectives. It also has been something that is a little bit contested in our group in terms of the representations have sometimes come out of invitations we’ve gotten because somehow we’ve attracted somebody’s attention and it is always a question… And I think this is a good question for all kind of artistic and epistemological adventures is… What representations are made for a predetermined platform and what kind of distortions are involved? MATTHIAS REGAN: Just to say one thing of representations by riffing on what Claire just said, because I think one interesting way to think about the group, for me anyway, is to really think of them more as declarations. So, again going on the idea that inasmuch as a group can be imagined as potentially expansive – as more of a seed for a larger cultural level of organization throughout leftist artistic Midwest, that what really matters is that there’s continual production of texts that have the minimum content of “here we are”…We are here. This is happening. So in that sense I think one of the things I like about all the different representations that have actually come out of the group is the relatively loose and broad range of materials that can count in that directions. There is just a whole range of different things we’ve done, some very collectively but some much more individually in various ways. And I think they all get to count as forms of representations for us precisely because they all participate in making the same declaration that this thing is here, that this exists. DAN S WANG: Actually reminds me of something I’ve thought about from time to time. I don’t know if you remember this Matthias, this is something I recall you saying at a Hyde Park Committee Against War and Racism meeting. There was a question of what to do. It was like, the war was on and the group was starting to struggle a bit, trying to find a direction. You made the point that it wasn’t important what we did as a project or as an action, but that what was important was simply the continuation of the group. The words stayed with me because that was, to me, an early statement about the group as a representation of a possibility, a political possibility. And I’ve come to think of a lot of these Compass-authored or Compass-credited or Compass-produced projects and materials almost in that way. What I mean is that, yeah, they are documents of some thought and some ideas in writings or visual matter or maps or whatever, but really what they produce is the continuation of the group, which is the important thing. Just like this retreat. What does this retreat do? It continues the production of the group. We all made time to be here. We all went through that decision making process of, “Are we going to do this?” The group exists. We are here. And that seems to me very important. BRIAN HOLMES: There was a conference that seemed so important to go to because it seemed yet again that making the effort would make such a difference over not. It was called Beneath the University the Commons…. As it turned out lots of people among us went there. There was a desire to go there with the Detroit project, because we were planning on attending the US Social Forum [that summer of 2010]. That led to the idea that people could share their paths to the US Social Forum. The idea that you could do “cartography with your feet” as a way to communicate with people. That not only the saying of who you are or where you’ve been or what you are doing now or what you hope to become, but also the doing of it would communicate with other people, that was something we were able to put into effect. 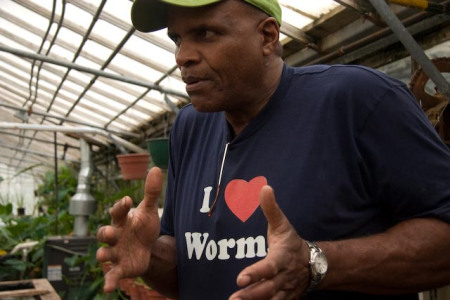 We did it in the way that we moved through the Social Forum in Detroit, by establishing all those different relations there and doing all those actions like unfolding the tent at the King Solomon church. We actually did one of our best actions at a local churchyard. So many intense conversations were held by the sheer fortuitous contingency of actually doing that, being there and spending the time to get to know that King Solomon church. The King Solomon church used to be a great black church in Detroit where Martin Luther King spoke and which is now a ruin and a grassy field. 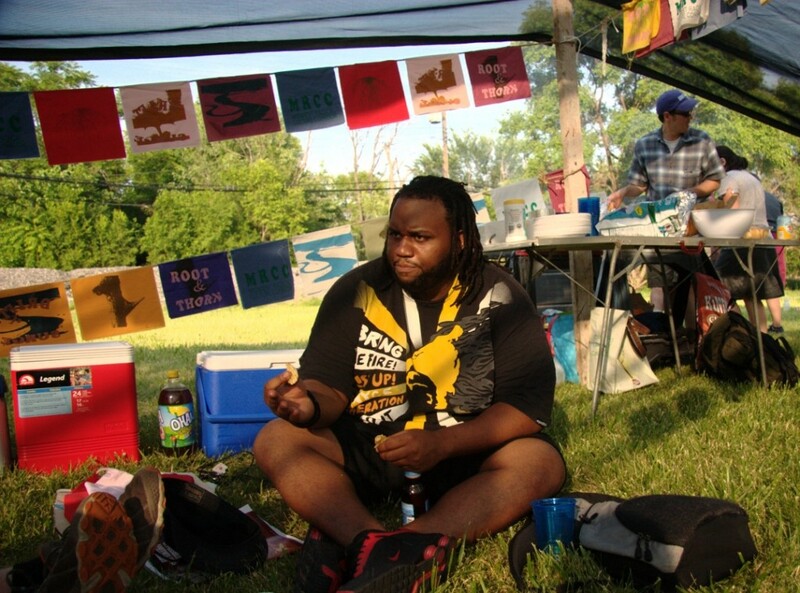 We got to know people in that area, so we wanted to have a picnic there to bring the city of Detroit more fully into the experience of the US Social Forum. And I think it really worked. 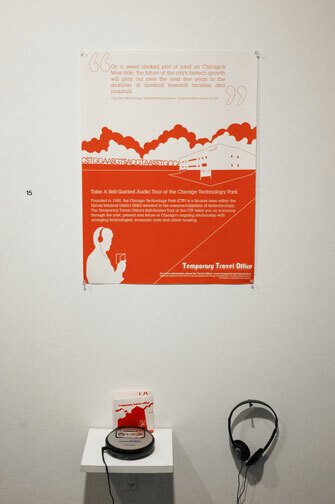 We were talking about representations… The idea of “cartography with your feet” also became a poster which was made by a group of three or four people…Claire, Sarah Ross, Sarah Lewison, Dan Wang, and it was printed by Dan…. I think those things are really empowering. Another example is when Claire and I went to Argentina to do a “Continental Drift through the Pampa.” By doing that we were able to activate ideas coming from Guattari, coming from our own experience, coming from Marxism, coming from the historical experience of Argentina. That included ideas from the Tucuman Arde project, which was an extremely searching and confrontational political art project in 1968 in Argentina, because we directly collaborated with Graciela Carnevale who was the person who saved the archive of that project, more or less at the risk of her life… So, I think there can be something very empowering about concepts and representations, the declarative thing. It’s declarative, and maybe it’s also iterative, which goes back to the Critical Spatial Practices blog [that Nick Brown did], which was really inspiring for me for years because I would always go there and understand more of what you guys were doing, at a time when I didn’t even know Nick… I have written a lot of things about Continental Drift, and I don’t know if writing is an act in itself, but declaration definitely is. I mean, sending it out definitely makes a difference. The act of declaration is followed by a process that builds up so many attempts to realize the network, to fulfill the possibility of collaboration that you feel at your fingertips, which won’t get realized if you don’t actually go and do it. What I like about this group, in other words, is that we go and do it. CLAIRE PENTECOST: Yeah I just wanted to follow up on the representation because a lot of the way I’ve thought about it and experienced it… I’ve given many talks that kind of start from the Drift and then talk about things we have done since then… It is not so much representation as a kind of appeal to the imagination I feel like… My experience, my observation, is this whole idea of drifting through a territory that one wants to understand better appeals to people’s imagination. To me, that’s a really important part of what we are doing is not so much that we would make some great product but that we would inspire people to do this very thing themselves that they would take it on themselves to go and see with their own eyes, to go and actually trek down the origins of their experiences through the local and the global as they meet it in their lives. 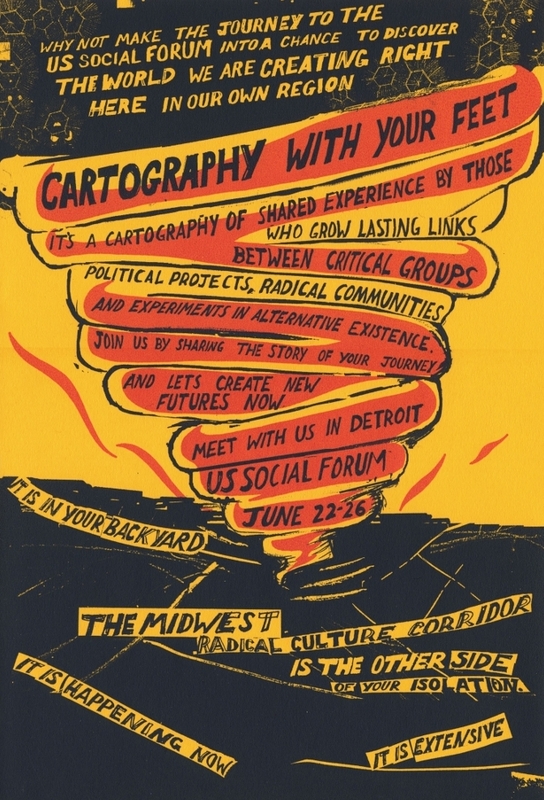 NICK BROWN: I’ve been thinking just a little bit about the name Midwest Radical Cultural Corridor and how you could change the emphasis and understand the project differently, focus on the Midwest, radical versus culture, each of those shed light on what we were doing and why in interesting ways. And for me the idea of corridor has always been the most important because I think there’s a radical history and radical present in the Midwest just as there is anywhere else. There’s never been a question for me. The question that has felt most pressing and also most interesting is just how do we make these connections? And so I see the corridor that we speak of in some cases is a corridor that already exists and in many cases it is a corridor that we create by traversing the territory or by sitting around a table in the Indiana Dunes talking about relationships… So, there is a sort of prefigurative element that I think is really important, prefiguring these relationships, prefiguring these corridors, in a way that activates, ideally, the imagination of others. SARAH KANOUSE: I think something that has only appeared at the margins of any of our representations is the doubling of Midwest as space with the Midwest as time. So the desire to make connections is not only spatial, it is also temporal and I think as we move forward we might increasingly start to explore the depth of that time. What does it mean to have a relationship with a radical past in order to make space for a radical future? 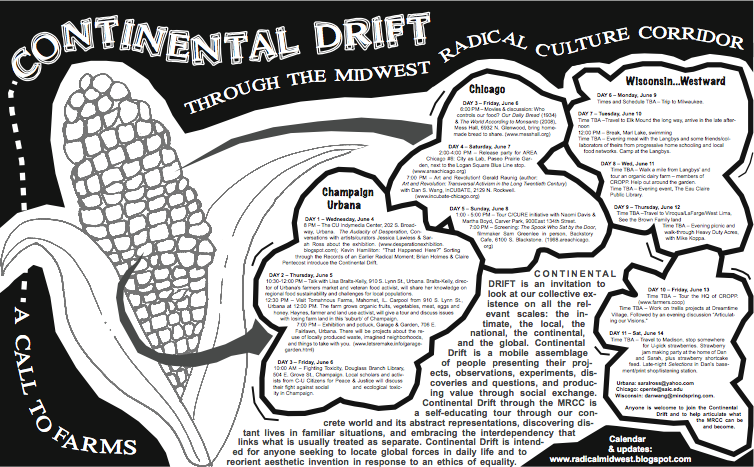 I think about the Call to Farms book and the little last chapter that I wrote, which was about these possible alternative trajectories looking other instances of the Midwest radical heritage. I think about Dylan Miner’s project in the later Deep Routes book of excavating these native stories and networks and that there is this powerful moment of potential coexistence, but not like a coexistence of ignorance but one of knowledge. And this doesn’t necessarily add up to anything that I know how to say or know what it would look like, but there exists these powerful resonances that are spatial and temporal and we want to know them. We want to be able to abide with them and to do something with them and that is what this has been about for me. SARAH ROSS: Two things I want to say that seem kind of important maybe in terms of your last question about how has this influenced other things for us. Firstly, people who have looked at things we have done and commented to me specifically have [talked] about how spaces outside of cities, peripheral spaces, are part of the larger global networks and that’s something that is really not, at least in art world networks, not really well investigated because everything happens in a city. Secondly, leaves me thinking about the different kinds of groups and institutions that have been influenced by our work here. So, earlier today we talked about Autonomous University [which Brian is working on]. Ryan and I started the Regional Relationships project. And many of us here are part of other institutions and networks or we have started other projects or forms that are really influenced by our work together and I think that is super generative. I think it kind of speaks to the kind of energy and generosity of ideas that float among us and the kind of space that we have created here that’s given energy to our own projects from the kind of work I just mentioned to what Sarah Kanouse is doing [with her film Around Crab Orchard]. It wouldn’t take long to make a list of the kind of individual or collective projects that we’ve made outside of our group that are heavily influenced by the kinds of conversations we’ve had here. So, in this way I think the original Drift and other Compass projects have really influenced what we are all doing [individually] today. DAN WANG: I will make this my last remark, which has to do with this quest to understand what the Midwest is, to understand where I live and where I grew up as really being the industrial and agricultural heart of this empire when it was at its strongest. And this empire is decaying from the inside out. This is something different, as compared to the Sunbelt states and both of the coasts. There is something very severe going on that we are very close to, because we live in the Midwest and can see this process take place. 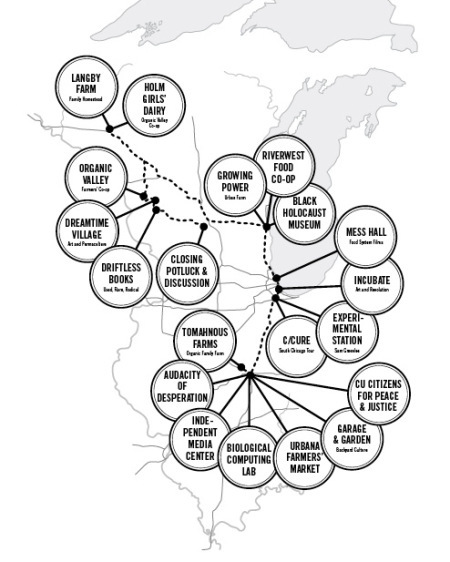 When I was moved to Wisconsin I finally got around to reading the William Cronon book Nature’s Metropolis, because that relationship between Wisconsin and Chicago goes way back to the days of settlers and the theft of the land, in fact. This is a long process that we are in and are seeing, reaching a new stage of brutality in some ways, or at least a kind of brutality that we haven’t seen in a long time. I guess it is also for that reason that it is comforting that you can work with some people who are trying to do this love thing. That’s a good thing. UNKNOWN: I wanted to pick up on Sarah’s point about the relationship of the MRCC to other projects and to the influences it had on other projects. I think an interesting way to think about that is its enveloping capacity that the group functions as a kind of envelope that can be expanded to cover a range of different elements and projects and the example I want to give of this is three years ago or so, like in an effort I created this little file folder that said MRCC and then I discovered that I would increasingly start putting more and more things into that file folder. So, all these projects that had already been ongoing like Tamms Year Ten or Feel Tank or these other projects, they are all now part of the MRCC folder. Everything now fits in there. So I think that’s the capacity that the group has. UNKNOWN 2: I wanted to follow up to what Dan Wang said about the group, but does the group go on? And I, when I hear that I think about, it is not just our group… Because I think this is a really important part of the MRCC that we aren’t the MRCC and we are just a little wave among waves in this whole sea of the Midwest… It was a sea at one point but now it is a sea in a different way. And so I just wanted to make that point about the group, what is the group? Well, we are this kind of porous entity that has a lot of affinity but the Midwest Radical Cultural Corridor is way bigger than we are. SARAH LEWISON: Around the turn of the century in San Francisco, there was a surge of interest in the Drift as articulated by the Situationists. When I lived there and was looking for a place in 2002, I remember thinking how perverse it was. People were creating guided derives and producing interventions at sites that were disappearing into development. In a way it felt like a celebration of mobility in a time when actually people didn’t have places to live and were forced to move from place to place. I think that we are adding another conceptual layer and challenge by calling what we do drifting but by taking on an intense exploration of space and time exactly where we are that also engages with other places and connections.